Our vintage birdie nursery idea is finally a reality! April (Geesbreght) Cushman came over in October and gave me the vision for the room. I then spent the next several months gathering the items to make it work. We painted the room in "Tranquil Pond" by Freshaire. Once the crib, dresser and loveseat were in the room, I just couldn't figure out how to arrange the room. So, I called on my friend Megan Branagh, who works at Simple Things here in Fort Worth (the store that inspired the look of the room) to help me with space planning. She gave me a great plan for arranging the furniture and some other great ideas for where to put some of the decorative stuff. I really like how everything came together. I often come and sit in the room, just thinking about when Jovienne gets here! Thanks to April and Megan for helping me to make this room so beautiful. On the Nursery Door - made by April (Geesbreght) Cushman. 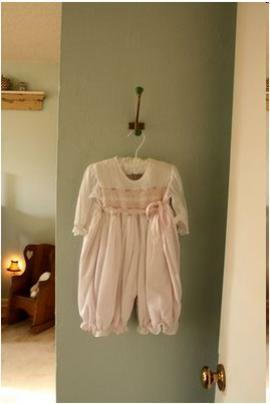 Entry Way - a little hook to hold her bathtowel, jacket or outfit. 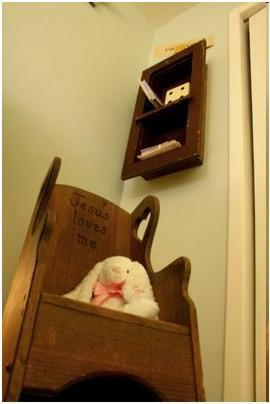 Book Nook - Mark's "Jesus Loves Me" chair from when he was little. The Changing Table - view of the world and of her bird mobile. 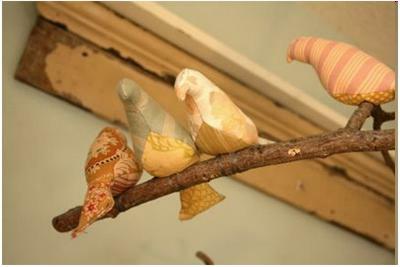 Close up of the birdies - the first project I started, and the last to complete. This is one of my favorites, the pattern just looks happy! 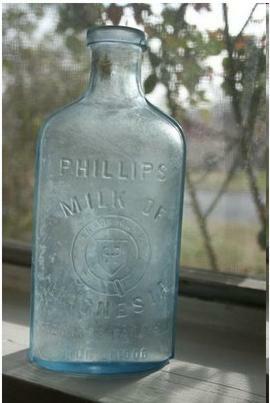 A little Phillips bottle I found at an antique store. Her loveseat glider, with the perfect view of her crib. Julia Laing, of Laing Designs, did the slipcover for the Pottery Barn Kids loveseat glider that we purchased. The dresser is from GoLightlys Antiques in North Richland Hills. The crib is from Lone Star Baby. The curtains are from Ross, and I just made the tie's to hold them up. The mantle above her crib is from Old Home Supply here in Fort Worth. If you don't want to make your own bird mobile, you can find a similar one here. I am currently making a similiar nursery, do you remember where you got the Sweet Dreams sign? How did you make the birds? Very cozy and relaxing nursery. I love everything about it. Do you have a website link with instructions on how to make your bird mobile? I'm so excited to get started. Thanks for sharing! Thank You! Thank You! I really appreciate all the info too...I'm going to use this exact theme for my baby boy's room! I love the nursery! It is incredibly beautiful. 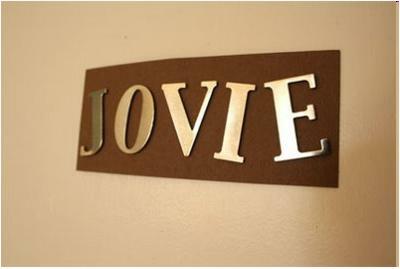 I actually came across your post when looking for other babies named Jovie. Every single baby I've seen has been adorable. Yours is no exception. Gave me some ideas of my own for her nursery, Thanks! Just beautiful! Definitely something unique and very precious! Congrats! 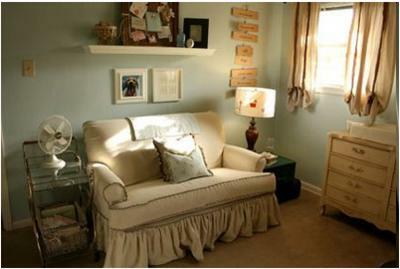 The paint color is Tranquil Pond by Freshaire. Can you please tell me the paint color? 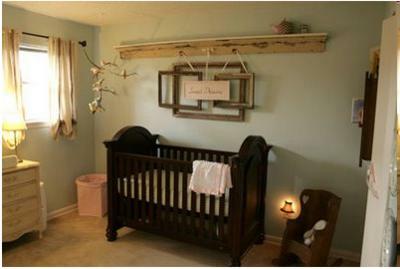 Thanks for sharing your gorgeous nursery Kat. It's lovely. I love the bird mobile. It must have taken ages to make. It's the perfect finishing touch to the room.